If you're underwhelmed by the new Hamburglar's antics so far—and are pining for the original criminal himself—you're in luck, thanks to a spec campaign from production company Whiskey Tongue. 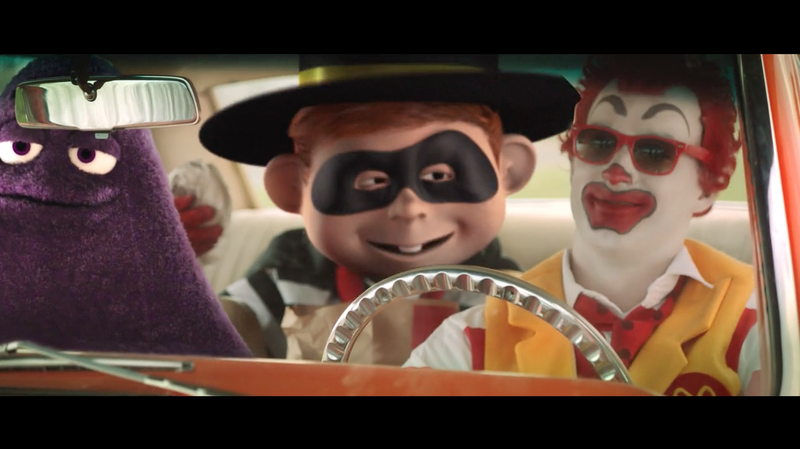 The #OGHamburglar campaign (OG being slang, of course, for original gangster) will feature a series of short films, one of which was just released—showing Ronald McDonald and Grimace picking up OGHamburglar just as he's getting out of jail. "The #OGHamburglar is back in action (straight outta prison) brought to you by a team of rogue creatives who want to bring the beloved character back to life outside of lockdown," the filmmakers say. Adds creative director Brett Landry: "We love the Hamburglar and hope that McDonald's will enjoy our interpretation of the original character."